In the wake of the arrest of 10 American sailor and the seizure of their vessels by Iran on December 12, the Islamic Republic is slated to release at least four detained Iranian-Americans today. They are being released in exchange for six Iranians imprisoned or charged with violating sanctions against Iran. The deal comes as a monumental nuclear deal is to be implemented by the United States and five other world powers with Iran. The Washington Post reports that the swap was arranged through secret negotiations that were held over several months. The captives have been identified as: Washington Post correspondent Jason Rezaian (39); former U.S. Marine Amir Mirzaei Hekmati (32) of Flint, Michigan; evangelical Christian pastor Saeed Abedini (35), of Boise, Idaho; Nosratollah Khosavi-Roodsari; and Nosratollah Khosrawi. 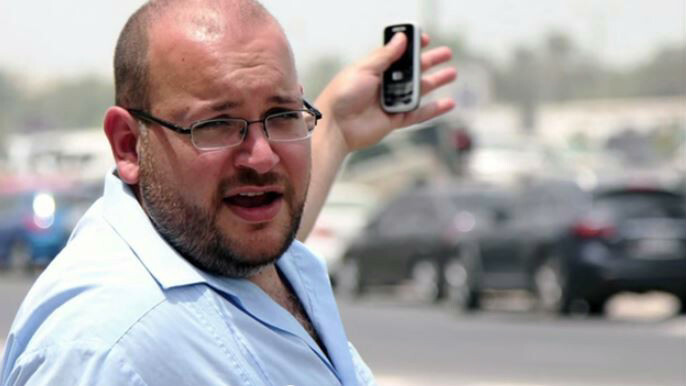 Journalist Rezaian had been held at the notorious Evin Prison for the last 18 months. According to the official Fars News Agency, Prosecutor Abbas Jaafari declared in a prepared statement that “based on an approval of the Supreme National Security Council and the general interests of the Islamic Republic, four Iranian prisoners with dual nationality were freed today within the framework of a prisoner swap deal.” Jaafari said the swap has a provision under which the United States will halt its demands for the extradition of 14 Iranians alleged to have been involved in trafficking arms to Iran. The reported exchange was received as diplomats assemble in Vienna to discuss the implementation of the nuclear deal with Iran. The agreement reached in 2015 will take effect when the International Atomic Energy Agency certifies that Iran has fulfilled its part of the bargain. In Vienna, Secretary of State John F. Kerry met with Iranian Foreign Minister Mohammad Javad Zarif at the Coburg Palace Hotel: the venue for last year’s negotiations over ending the Iranian nuclear weaponization program. Abedini is a convert from Islam who has become a Christian pastor. He was imprisoned in July 2012 for organizing home churches. 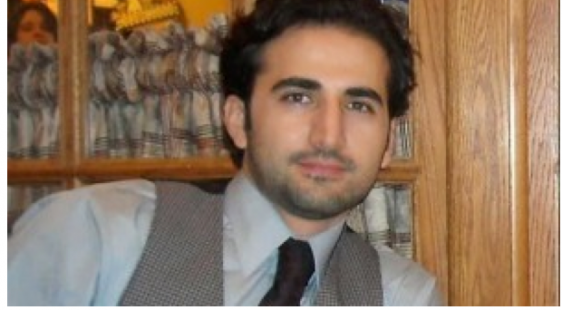 Hekmati is a former Marine who spent more than four years in prison on spying charges following his arrest in August 2011 during a visit to see his grandmother. The detention of Khosavi-Roodsari and Koshrawi had not been previously publicized. Siamak Namazi, a Dubai-based oil company executive who had promoted U.S.-Iranian rapprochement. He was arrested in Tehran. He was a naturalized U.S. citizen who entered the U.S. in 1983 as a child. He later served in Iranian military. The other is former FBI agent Robert Levinson, who disappeared in March 2007 during a visit to Iran’s Kish Island. His welfare and whereabouts remain unknown. Namazi remains unknown. Nader Modanlou, Bahram Mechanic, Khosrow Afqahi, Arash Ghahreman, Touraj Faridi, Golestaneh and Ali Sabounchi. The exchange harked back to similar exchanges between the U.S. and NATO allies with the Soviet bloc, when accused spies were swapped. In July 2015, State Department reiterated previous warnings for American citizens to avoid traveling to Iran. “This deal over Iran’s nuclear program does not alter the United States’s assessment of the risks of travel to Iran for US citizens,” it said on the same day Obama defended the nuclear deal as preventing the Tehran regime, which he said is hostile to the US, from obtaining nuclear weapons. It comes less than a week after 10 sailors of the U.S. Navy were seized by Iranian naval forces after entering Iran’s territorial waters. Even though the incident occurred on January 12 – the day of the delivery of the State of the Union address – President Barack Obama did not mention it. The sailors were taken into custody along with their two Riverine Command Boats and associated weapons and equipment. The Iranian regime scored propaganda points when the sailors’ commander appeared on television and apologized for entry into Iranian territory and claiming that it was due to a navigational error. The seizure of the sailors and boats was capture in photographs and video taken by Iranian media and distributed widely on the internet. The images of the sailors kneeling on the deck of their boats with their hands on their heads in surrender enraged many Americans and critics of the Obama administration. Questions have arisen about the timing and the nature of the incident. The Navy’s Riverine Command Boats are not typically used for open water. Also, the Navy did not clarify why it was that between the two boats there was not the means to leave the area and thus avoid arrest by Iran. A writer at the International Business Times concluded in an article this week that the skipper of the hapless crew was either incompetent or has committed a violation of the Uniform Code of Military Justice and should be court-martialed. With the release of the captives on the cusp of the implementation of the nuclear deal with Iran – which will allow Iran to receive $30 billion in frozen assets -- opens up the possibilities of other purposes for the seizure. Sen. Ted Cruz (R-TX) commented on January 16 that while he was elated at the news of the release of Pastor Abedini, he is troubled by "problematic" elements of the negotiations over the captives.